Shopping for a new Volkswagen Beetle? A 2018 VW Beetle S with a popular equipment package clocks in around $22,000 and we see little reason to stray far from there. The 2018 Volkswagen Beetle is a competent small car that’s showing its age. The same could be said for every other Beetle on the road and that hasn’t stopped it yet, has it? The 2018 Volkswagen Beetle still has a couple punches left. This year’s Beetle is offered in S, Coast, SE, and Dune trim levels with the last stop being a taller-riding version but still front-wheel drive. The Dune model is its own animal, one that we’re not sure we completely understand, if we’re honest. 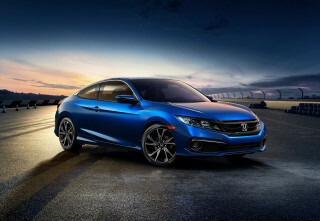 All trim levels are available as a coupe or convertible. VW has done the thinking for you when considering powertrains: there’s only one. An updated 2.0-liter turbo-4 and smooth shifting 6-speed automatic is the only option; last year’s higher-zoot R-Line engine is gone. We haven’t driven the latest 2.0-liter turbo-4, but considering the engine’s close relationship with the outgoing 1.8-liter turbo-4 (same block, longer stroke) and its nearly identical power output we can predict that the new Beetle will feel much like the old new Beetle. The Coast version smothers the Beetle in a new blue, adds a surfboard-themed dash, and rugged floor mats to get around, round, round. There are good vibrations (all right, we’ll stop) for Volkswagen’s new warranty. The automaker covers the 2018 VW Beetle bumper-to-bumper for six years or 72,000 miles, whichever comes first. No Beetle is poorly equipped, but a lack of advanced safety features is starting to catch up to the automaker. For roughly $22,500 the Beetle S with a popular equipment package comes with synthetic leather upholstery, a 6.3-inch touchscreen with Apple CarPlay/Android Auto capability, a rearview camera, 17-inch wheels, and keyless ignition. 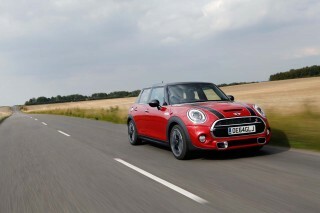 That’s a relative value among small cars, and few have the Volkswagen Beetle’s style. Perhaps other automakers could learn something from that—wouldn’t it be nice? The VW Beetle is an icon, like it or not. The VW Beetle is always going to trade on its iconic style, as it should. 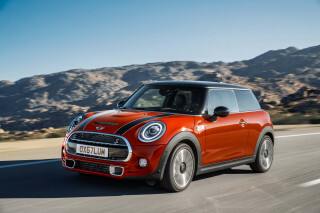 It’s instantly recognizable on the road and a fun shape, according to our eyes. The Beetle doesn’t bother with unnecessary details or creases. While the sheet metal is relatively plain, it’s wrapped around a body that even small children today—far removed from the Beetle’s heyday—can recognize. 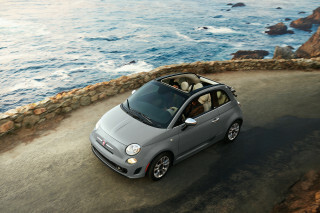 The coupe and convertible have been macho’d up since the last-generation Beetle. 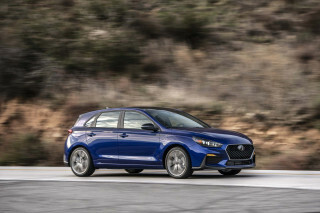 The roof is a little sleeker and the profile is a little less rounded, but all the hallmarks are there: rounded fenders and headlights, hatchback and slugbug. The Dune takes risks that we don’t think were necessary. Its taller ride height and unique paint colors are a niche within a niche—maybe someone else gets it? Inside, the VW makes all the right moves without any of the right materials. We like the layout and the straightforward style—sans vase, thankfully—but lackluster plastics let it down. The 2018 VW Beetle sheds its perky pick for a unified lineup. It’s not thrilling, but it is competent. VW has pared down the number of powertrains for the Beetle this year to just one: a 2.0-liter turbo-4. We have mixed feelings. Not because we’ve driven it (we haven’t) but because it signals the end of the other, other turbo-4 from last year in R-Line Beetles that were somewhat performance picks. 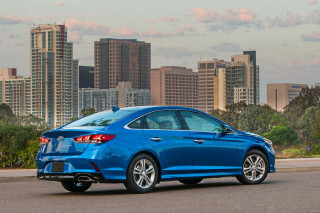 The newest 2.0-liter turbo-4 is closely related to the 1.8-liter turbo-4 it replaces. It’s the same block, but a slightly longer cylinder stroke. The new 2.0-liter turbo-4 makes 174 hp, which is only 4 hp more than last year, and its power comes on marginally sooner in the rev range. 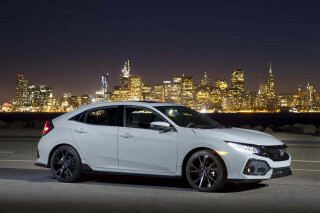 Its only running mate is a 6-speed automatic—the dual-clutch automatic went away with the R-Line series. We’ll update this space when we’ve taken turns behind the wheel of these models. What hasn’t changed is the Beetle’s suspension setup that we found to be fairly soft, but also ready for medium corner challenges. The Beetle coupes don’t transmit too much body roll into the cabin around corners despite their penchant for softer spring rates. 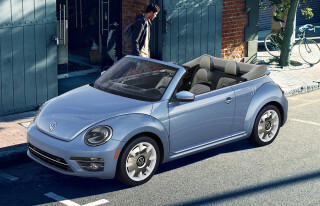 Convertibles are slightly heavier, and Dune models are a little taller without actually adding any four-wheeling capability, but none of them spoil the Beetle’s moderate fun. The Beetle lacks feedback from its steering and braking, however. It’s a shame considering its relationship with the last Golf GTI, which was a hoot. The Beetle’s relaxed mission should be an indicator—if performance is your priority, what can I show you in a Golf? Nominally a four-seater, the 2018 VW Beetle is best for two. And don’t stare too hard at the details, please. As far as retro-cool goes, the 2018 Volkswagen Beetle is on the fence. It looks like a fun, small coupe with a quirky interior—and it is. Unfortunately, that means tight rear quarters, and the interior is aged to the point that it’s more than retro; it’s just old. Front-seat passengers have the best seats in the house with plenty of leg room and wide bottom cushions that are comfortable for long hauls. There are a few cubbies and places to store small items, made better by a dashboard storage bin that Volkwagen calls a "kaeferfach" box. Rear-seat passengers don’t get the same treatment. Leg room is limited to 31.4 inches, but feels much smaller than that. Convertibles help open up the space a little more thanks to 90,000 feet of sky, but it’ll still be cramped even with short legs. The Beetle’s cargo capacity is 15.4 cubic feet, or 29.9 cubes with the seat folded, which is relatively spacious for its class. Opt for the convertible and your vertical load height is limited only by your imagination, and/or the amount of drag created by stuffing a skyscraper into the back seat. The Beetle falls down on its aged interior design and sub-standard materials. Beyond the initial appeal of its kitschy interior and retro design, the VW doesn’t impress with long expanses of black plastic that feel fairly thin. The Volkswagen Beetle keeps pace—but doesn’t lead—in safety equipment and crash-test scores. The 2018 Volkswagen Beetle mostly skips advanced safety features that regularly appear in small cars. Same goes for its crash-test scores: they’re respectable, but no longer competitive. The independent insurance industry-funded IIHS gave last year’s Beetle mostly top “Good” scores on its crash battery, except for the small overlap crash test, where the VW only earned a “Marginal” rating. Federal testers gave the Beetle coupe a five-star overall rating, including four stars for front and rollover crash protection. The convertible hasn’t been tested separately for the last five years. All Beetles include a standard complement of airbags including front dual-stage airbags and front and rear curtain airbags. A rearview camera is standard, and blind-spot monitors are standard on Coast and SE trim levels. Parking sensors are standard on Dune models, and optional at the SE trim level. Generally speaking, outward vision in the Beetle is good. Convertible models can obscure the rear view when the top is down, par for the course for many convertibles. 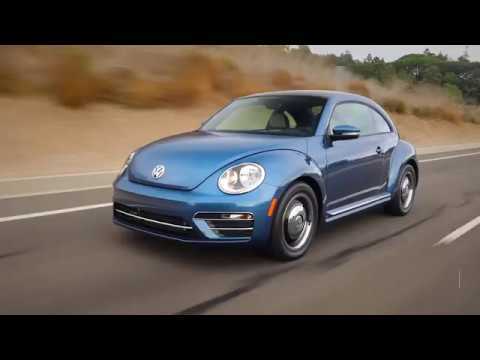 The 2018 Volkswagen Beetle’s endearing qualities belie its impressive set of standard equipment. This year, Volkswagen has wedged in another trim level for the Beetle: Coast. It takes a decidedly “Beach Boys” approach. It slots in above base models with a new lick of blue paint, surfboard-styled dash, and durable floor mats that presumably can dump sand faster. The Beetle is offered in S, Coast, SE, and Dune trim levels. 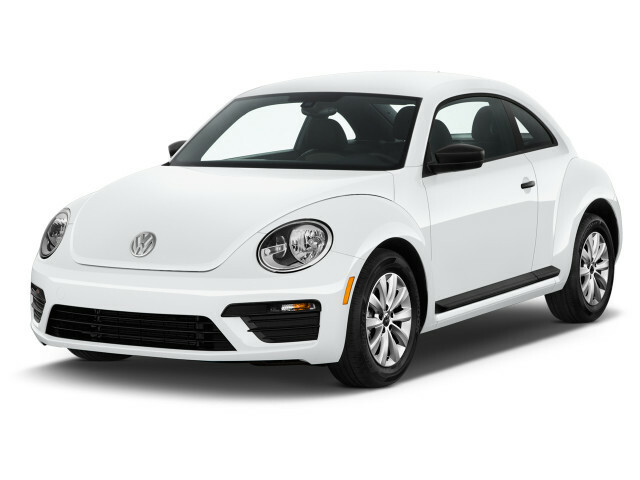 At the base S trim level, which costs $21,070, the Beetle gets cloth upholstery, an eight-speaker audio system, a 5.0-inch touchscreen with Bluetooth connectivity, and a rearview camera. A popular equipment package for S trims adds an upgraded 6.3-inch touchscreen with Apple CarPlay/Android Auto compatibility, 17-inch wheels, keyless ignition, synthetic leather upholstery, and automatic headlights for $1,475. The new Coast trim level adds a sunroof, comfier front seats, a unique cloth upholstery, heated front seats, blind spot monitors, and “Pet Sounds” on heavy rotation. (One of those things is made up.) An optional lighting package adds LED headlights for $895. The SE grade is roughly the top of the pile, unless you consider ride height to be the literal interpretation. 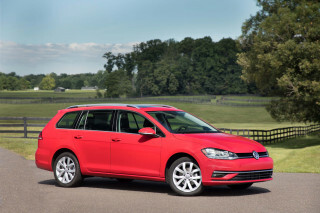 SE-trimmed cars get dual-zone climate control, VW telematics, and heated seats. A top of the line package adds synthetic leather seats, 18-inch wheels, upgraded Fender audio, parking sensors, and navigation for $2,500. Dune models are their own special kind of weird with a taller ride height, sport seats, unique synthetic leather upholstery, parking sensors, and color palette. 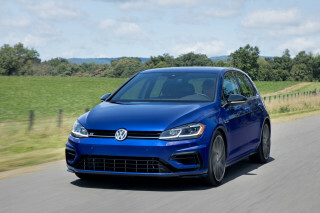 This year, Volkswagen made standard its supreme warranty across all its models: a comprehensive 6-year/72,000-mile bumper-to-bumper guarantee that’s transferable to successive owners. For new buyers, that should be peace of mind for at least six years—what happens after that is anyone’s guess. All versions of the Beetle are rated at 29 mpg combined. The 2018 Volkswagen Beetle’s fuel economy tale isn’t much different than your next latte. Tall or short? With or without a lid? With the Beetle, Volkswagen has simplified the powertrain story: all versions are equipped with a 2.0-liter turbo-4 and an automatic transmission. The Beetle coupe is rated at 26 mpg city, 33 highway, 29 combined. Convertible models are rated identically. Beetle Dune versions have a slightly taller ride height and somehow move air more efficiently, they’re rated at 26/34/29 mpg. Looking for a different year of the Volkswagen Beetle?